FTE takes pride in education and development of our apprentices to reach tradesmen of the highest calibre. Ensuring that the completion of each module during apprentice period, he is competent in all facets of the trade including a strong work discipline and safety. 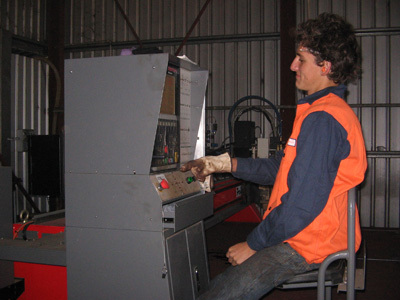 In July 2011, one of our apprentices completed his apprenticeship program and now is employed as a qualified boilermaker. FTE Engineering believe that proper training and education of apprentices would help the industry workforce and economy as a whole. FTE Engineering continue to employ a new apprentice each year. For further details regarding the vacancy of our apprentice program please contact us on (08) 9754 4777 or contact us online . FTE has a continual process of 'on the job training' in both safety and personal skills. Qualifications are upgraded at every opportunity to improve the quality of the workforce and emphasize the importance of working safely.